ISIS is Being unveiled and is returning into the consciousness of our beloved planet in a profoundly beautiful and powerful way. Many are receiving deep reconnections and experiences with ISIS, who is a great cosmic Being. 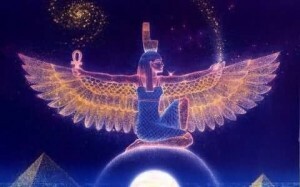 Along with her Twin Flame, Beloved Osiris, ISIS is the Hierarch of a Sun and solar system in our system of worlds. She and Osiris are the Chohans on the ninth ray of meditation. 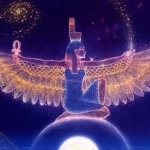 ISIS is a World Mother and teaches us enlightenment and meditation through our Oneness with the earth, beloved Freedom’s Star, and the Sun, the moon and the stars. As we meditate with ISIS we may receive an influx of Light that shows us we are connected to her beautiful lineage of Light. In the times of Egypt and Lemuria, ISIS was very present with our people and planet and she returns again NOW! So stay connected with her beloved Heart and she will guide you in God time to help bring her flame of meditation and enlightenment back into the consciousness of mankind (manifestations of God in kind ). ISIS has released a beautiful decree and new keynote, both accessible on this page. They work very powerfully together to help you get in touch with the World Mother and the divine flame of Oneness and Meditation within. More coming on beloved ISIS soon. Link to the Legend of ISIS and Osiris coming soon..